​Jurgen Klopp has rejected claims that Liverpool will regret selling Philippe Coutinho to Barcelona after the drawn out transfer saga. 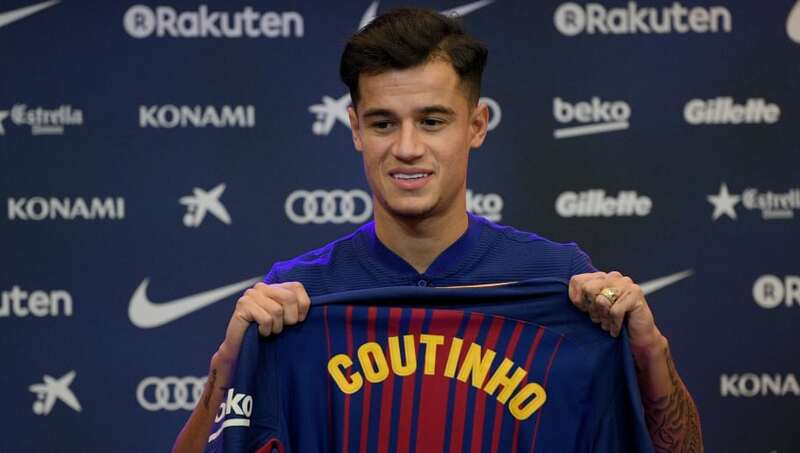 Coutinho joined the Catalan giants after six months' worth of speculation earlier this week - the Brazilian departing Anfield for a cool £142m - and ended his five-year stay on Merseyside as a result. In quotes published by the ​Daily Mail, however, Klopp was keen to move on from the story that had been a source of consternation throughout the first half of this term. The German, who will hope to see his side become the first Premier League club to beat Manchester City in England's top flight this season, insisted that his squad would regroup and move on from Coutinho's sale as he scoffed at concerns that they were a 'one man team'. He said: "If something doesn’t work and everyone’s talking only about one player who isn’t there any more, that’s not right. "We don’t play 'hero' football here. It’s not one hero and the rest try to help. We have already put responsibility on to different shoulders. This is the situation and we are already used to it." Coutinho's absence from the Liverpool squad that beat Merseyside rivals Everton in the FA Cup over a week ago led to concerns among Liverpool fans that he was on his way out. In the end, the rumoured thigh strain the playmaker was carrying wasn't a lie - Coutinho's medical at Barcelona showing up as much. Klopp, as a result, revealed why he felt vindicated in not playing the 25-year-old against the Toffees as he took a sly dig at the media - and Coutinho himself - over the latter's departure. Selling Coutinho to acquire Virgil van Dijk + Naby Keïta is incredible business. The former didn't exactly have a fixed position at Liverpool, the latter duo will. He added: "You cannot use him if he’s not 100 per cent. Philippe Coutinho is a world-class player but if he’s not 100 per cent, he’s not that international class or Premier League class any more. You lose the grip. "Players are different. I’ve had this very often. When they’ve lost one opportunity, you will never get the same player again. It would have been very difficult if we had said, 'There’s your contract and you have to stay here'. "Did I think I could still use him? Could he help us still? To be honest, it was 100 per cent clear, no chance. VAR Technology - Are we ready for it in the Premier League? Yes - The refs are terrible and need all they help they can get! "He was not ready to do that any more. The club tried everything. We had a lot of talks about how we can do this or that but if somebody denies, then it is clear the decision is done. At some point you need to accept it and that is what we did."